Of course, you don’t ever need an excuse to listen to Richter (1915-1997). All you need is the desire to hear beautiful music piano music – solo, chamber and concerto — played in an arresting and original manner, an approach that takes risks that usually pay off but sometimes fail. But this time I have an excellent excuse or, better, reason. 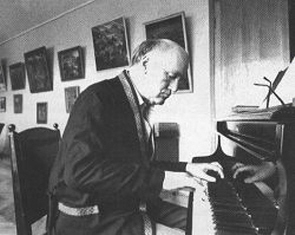 It is the new biography — “Sviatoslav Richter: Pianist” — by the Danish composer Karl Aage Rasmussen (Northeastern University Press, University Presses of New England, $40). There is much to single out for praise in this new biography — too much in fact for one relatively short review. But let’s start with some of the major points. Richter’s fans probably know the video “Richter: The Enigma” by Bruno Monsaingeon, who also did videos of Glenn Gould. They may also know his book made of Richter’s own notebooks and transcriptions of conversations. This book picks up from all that and uses more obscure sources to push the limits of what we know about this enigmatic and curiously charismatic pianist. Start with the fact that, to my knowledge at least, this is the first biography that fully and openly discusses Richter being gay. 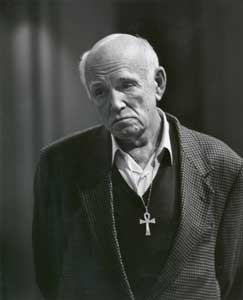 Reading it, you find out about his 50-plus year alliance with a woman (singer Nina Dorliak) and about his male “escorts”; you find about his self-acceptance in a land where the government outlawed and punished homosexual behavior that was not discrete or invisible. That alone makes this biography a fascinating addition, and a timely one. One quickly understands Richter’s reluctance to take on the Soviet authorities or to remain close to his mother after his own father was tried and executed on a trumped-up charge of treason – and was perhaps betrayed by his own stepfather. Thanks to careful research and a lot of interviews, Rasmussen debunks a lot of the myths and legends surrounding Richter, especially in his young years and his last years, when heart ills were closing in on his life. Oh, to be sure, Rasmussen gets repetitive at times: one keeps hearing about Richter’s apolitical view of life, his fear of flying, his insistence that he was following the text and the composer’s intentions, even when he clearly wasn’t. And sometimes he is given to overwriting and hyperbole, especially when describing Richter’s distinctive playing. But those are small flaws, quibbles really, in an otherwise well researched and well written biography that reveals the quirky psychology and aesthetic judgments that made Richter a phenomenon. It offers many telling anecdotes about small incidents, including how Richter got to play at Stalin’s funeral, and amusing details, including how Richter liked to celebrate with food and drink beyond his reputation as an ascetic. It features a fairly thorough discography with comments, and an extensive index that allows the reader too to easily look up individual composers and works. 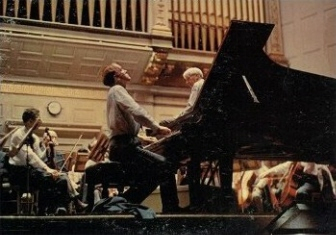 Rasmussen also seems to have a good sense of Richter’s many gifts, including his ability stretch time in Schubert especially, but also of his flaws as a much celebrated human being who paradoxically, like Moliere and Shakespeare, used the spotlight to keep his personal private life in the shadows. 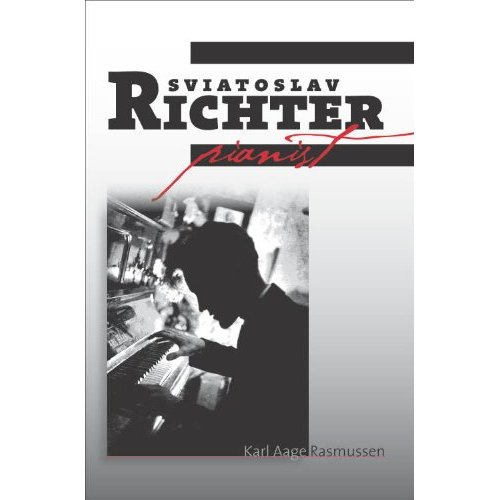 The book is expensive, but it is well worth the money if you are a piano fan – or Richter fanatic. I found the 303 pages went by quickly and engagingly. If you read it, let me know what you think of it. So far, I can’t find many reviews on the Internet and would love to know what others think. The book deserves more attention than it might get simply because it is not published by a major commercial publisher. After all, it demystifies one of the most mysterious figures of modern music-makers, right down to his practice methods. So here it is from The Ear to your ear: I highly recommend this new Richter biography and hope you enjoy it as much as I did. Let me know what you think of the biography? And what you think of Richter? Do you have a favorite recording by him? The Era wants to hear. And in the meantime, until he does, what about an outstanding sample of Richter’s playing? And you can find a lot more at YouTube, although some videos of Richter playing have been deleted for copyright reasons. The best performer of Well temperierte Klavier of BACH! For ever , for me! I know evry other performaer , nobody like him, ever! I repet?! I found the book very interesting and informative. Richter’s talents, his life and times are most amazing. He drove his car to most performances within Russia! He speaks about his early drinking days, his musical ideals, his sexual preferences are “HIS” secrets. WE ALL HAVE OUR SECRETS… The person that posted about his homosexual interests were not a cause of something within one’s DNA must do some research and gain knowledge regarding how our genes DO MAKE US SEXUALLY WHAT WE ARE OR CAN BECOME. I often wonder what Glenn Gould sexually required or desired within his body and mind? Music is one of the most sexual art forms. I have not always agreed with Richter’s interpretation of how some great music must be performed… however, the man was an inigma. He was fearless and discovered who and what he was via the language and magic of music! I thank the universe for his life and music. Many moons ago I heard Richter play an impossibly slow and controlled Schubert Sonata at the ‘Benson & Hedges’ Schubertiad at Britten’s spiritual home the Snape Maltings. Outside the hall Benson & Hedges Ω girls, looking like gold covered bunny girls complete with saucy bosoms, Miss America Pageant Big Hair plied their wares, Benson & Hedges fags (a we call cigs in UK). I now have Emphesema and am rather regretting falling for the buxom wenches advances. These Golden Girls, when not adjusting their copious	maquillage, served another purpose: that of flower bouquet bearers. Richter didn’t seem very interested in being kissed on the cheek. At the time I was an opinionated youth (now I have age on my side and can at least wallow in being an opinionated middle aged man) and found Richter’s performance perhaps he most excruciating musical experience s listener up until that point. . . . . SLOW, OH SO DREADFULLY SLOW, & CONTROLLED . LIKE A MASOCHISTIC LATIN TEACHER DETERMINED TO DRILL HOME FOR A FULL HOUR SOME DREARY POINT OF GRAMMAR. THERE WAS NO ESCAPE, I WAS NOT SITTING ON THE END OF A ROW. I was stuck in the middle. I knew then what it was to have teeth pulled sans anaesthetic. My problem then and for the next three and a half decades is that I avoided Richter at all costs. Only now am I beginning to taste what I have been missing. I will buy this biog. on your recommendation. I’m looking forward to it!. Yes indeed, I think we can safely say that many things are at play in what makes people tick – especially when it comes to desire. However, my opposition isn’t so much to the idea of sexual science as it is to the use of this data, which only serves to draw a bigger bloodier line between heterosexuals and non-heterosexuals. It also doesn’t answer the question of “where do bisexuals come from”. In fact, the gay gene science completely ignores the very important question that bisexuality raises. Since Richter did have a pseudo-marriage to Nina Dorliak, it is entirely possible that they were intimately involved as well. In light of that consideration, it’s most plausible that Richter could be classified as a bisexual. Too bad we can’t ask him ourselves – but then again, he’d probably have some fantastic way of dodging any sort of classification! I’ll agree that this book was a fascinating read – chances are if you are a Richter fan, the hyperbole and worship evident in the writing won’t bother you one bit! The historical/political context really set the table for his story – also makes the book accessible to those who have yet to learn about Soviet music history. There is one GLARING error in this book, however, that caused my blood to boil. And it has nothing to do with our beloved Slava. Toward the end of the book, as Rassmussen addresses Richter’s sexuality, there is a section in which the author discusses the “cause” of homosexuality in humans. He points to obsolete and uncited “scientific research” that boils sexuality down to chromosomes and hormone levels. Yes: he’s talking about the gay gene. These studies were bunk, born of great prejudice in the scientific community. They have been disproven to such a degree that to even mention them discredits the speaker – or in this case, the author of this otherwise wonderful book. I was shocked to find such rubbish in the midst of really relevant writing- why include such unnecessary and incorrect information? Published in 2010, no less! I really hope that someone brings this error to the author’s attention, and that he is wise enough to edit this blemish in the research. Thanks for reading and the long and thoughtful reply. I’ll have to disagree with you in that I think there’s a growing body of evidence that genetics plays a role in homosexuality. It is nature and it is nurture, both. We’ll both have to stay tuned since it is a hot topic of scientific and sociological investigations. Rasmussen adds to what we know, but Richter remains an enigma. I recall toward the end of Monsaingeon’s film Richter says “I do not like myself,” and there’s clearly some tortured, self-loathing part of his psyche that sometimes reveals itself in his playing (sometimes to great effect). As for favorite performances, among many, I like Richter’s approach to Schubert’s “Im Fruhling” with Fischer-Dieskau, so simple and profound. At the other end of the spectrum is his Prague reading of Beethoven’s Op. 106 “Hammerklavier” piano sonata, particularly the great adagio sostenuto movement which is played with intense focus and amazing lyricism. You are absolutely right about Richter remaining an enigma. Some people have observed that Richter’s comment that you quote is repressed gay self-hatred. But Rasmussen, I seem to recall, disputes that and says that has to do the context created by editing. It has more to do, says Rasmussen, with Richter’s impatience and perfectionism about his own playing. He said he never liked or was satisfied with any of his hundreds of recordings, apparently. Many great artists and performing artists are enigmas. But the largely self-taught, prodigiously talented and eclectic Richter seems especially so. You are also right to point out his great ability as an accompanist and to emphasize how you can hear Richter’s genius in both miniatures and titanic masterpieces. I wonder what others would say. I agree,it a lucidly written book which fills a number of gaps and deserves to be more widely known. There`s a sane tone of voice to Rasmussen`s writing which makes for a good read. Interesting that Gavrilov is slightly skeptical about the notebooks…not sure I`m in accord with him,unless the translation is faulty in some way. In combination with the famous film I don`t think there`s a risk of misreading where Richter is coming from. As for a favourite recording- -my knowledge is far from comprehensive but I might plump for the `Great Gates of Kiev’ from the famous Sofia recital- -the sheer power of the playing combined with a buoyancy always leaves me awe struck! Thank you for take ing the time to read my blog and then write a comment. I’m happy we agree about the merits of the new Richter biography. IIt is a terrific read for anyone interested in the piano or in modern Russian/Soviet culture. You make some excellent points about Gavrilov and others. There are quite a few pieces of new information. Rasmussen has clearly done a lot of original research and interviews, and has taken advantage of newly available documents. The Mussorgsky piece at the end of “Pictures at an Exhibition” that you pick as a favorite Richter recording is a great choice. I still opt for some of his Schubert sonatas because of his plastic sense of timing. Mind you, I so don’t always agree with Richter’s choices, but they are always compelling in their own way. I hope we hear from you some more in the future.